Attention Broadway Speaks OUT fans I know you are used to videos but we had some tech. 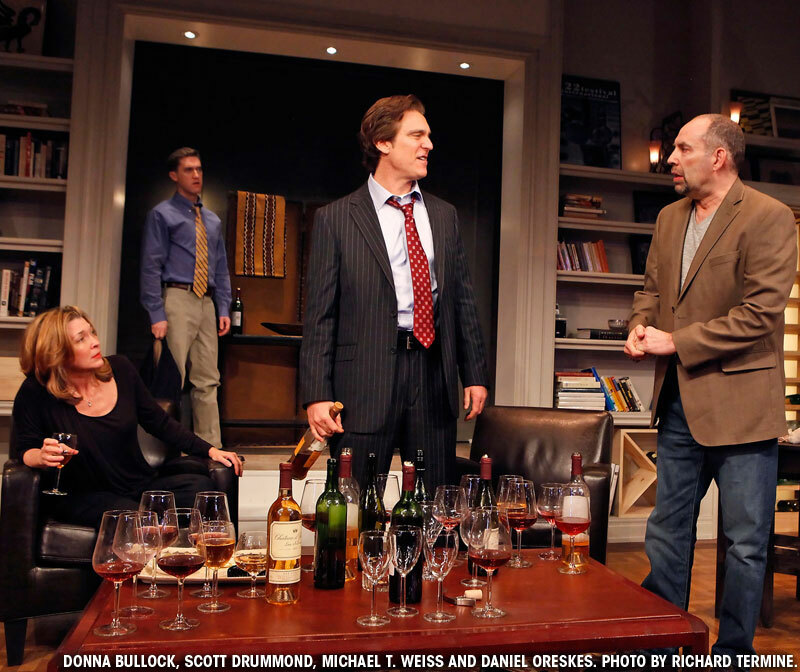 difficulties so I am going to tell you about the Off-Broadway hit "A Perfect Future". This play written by David Hay and produced by my dear friend Andy Sandberg features an all star cast of Broadway and film veterans. 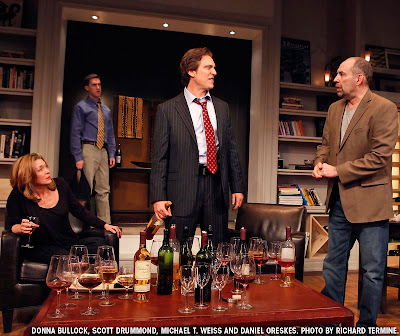 Donna Bullock, Scott Drummond, Daniel Oreskes, and Michael T. Weiss portray a married couple and two men set up on a blind encounter with the entire evening starting out refreshing and bubbly to rapidly falling apart showing the true colors and feelings of these four individuals. Donna Bullock was who stood out the most to me with her portrayal of a documentary film maker who seems to be stuck in a marriage that no longer has the passion and longing it once had due to her husband, Michael T. Weiss, keeping deep feelings about race hidden just below the surface. Since this is Broadway Speaks OUT, I should mention some of the gay themes in the show were brilliantly played by Daniel Oreskes who plays a man from the AIDS generation in LGBT culture and Scott Drummond who wonderfully shows the audience how in corporate America people can go against everything they believe and hide who they are just to get ahead. I encourage you to go see this wonderful show while it is still running at The Cherry Lane Theatre. Wilson Milam, the Tony Award-nominated director of Martin McDonagh's The Lieutenant of Inishmore, returns to New York to direct the World Premiere of David Hay's compelling new play A Perfect Future. This darkly comic and provocative play explores the question of whether people can be married and truly love each other when their political persuasions are diametrically opposed. New York power couple John and Natalie are hosting a dinner for Elliot, a friend from their days as college radicals. Also invited to the party is Mark, a straight-laced young man from John's risk management firm. With the help of a few too many expensive bottles of wine, the group's past and their long buried secrets resurface. Over the course of this raucous evening, their basic belief systems are upended, as the four must come to terms with what happens when we try to reconcile our idealism with reality. This high-society evening is about to turn into a night of sexually charged mind-games that could change their lives forever.